"Beautifully crafted collaboration between drum god Cobham and the quality-dripping Asere"
Beautifully crafted collaboration between drum god Cobham and the quality-dripping Asere. 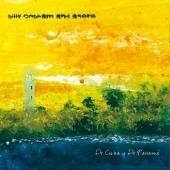 How much latin recollection that Billy Cobham has is debatable if he left at three years old - but it doesn’t really matter here because with someone of his abilities and sensitivities you know he’s absorbed not just the technicalities necessary to perform with Asere but enough of the spirit of the afro-cuban heritage and the ‘duende’ of the Spanish guitar to effortlessly groove on their home ground. This album radiates energy and charm. 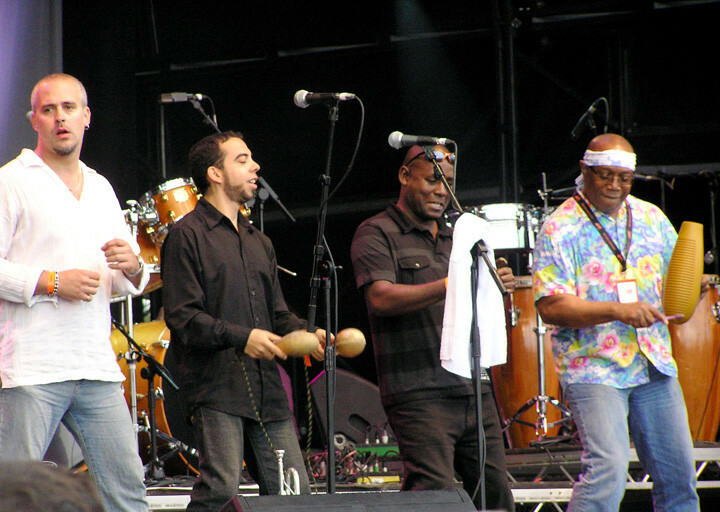 A rich tapestry of song and groove shifting from the delicate to the powerful..
Jazz and rock drummers are notorious for their desire to fill every available space with their sound - anathema to the whole concept of afro-cuban percussion which is spread out between instruments and musical spaces allowing complex polyrhythms to be played and still be innately understood. But don’t worry, Billy’s massive kit just slides in there and nestles up alongside all the hand-percussion as if it always belonged there; testament to his ear and the gradual, rhythm-based way in which the songs were written from the ground up. Asere themselves are just, as you’d expect of almost every Cuban band, a class act. 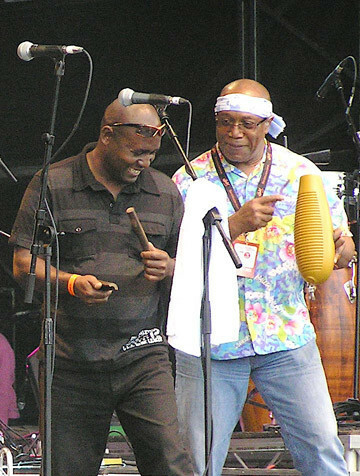 Alongside the usual array of afro-cuban percussion (congas, bongó, timbales, guiro, maracas, cowbell, cajón and clave) sit bass, trumpet, tres (small Cuban guitar with six strings grouped in three lots of two), steel guitar, and Spanish guitar. It is this last (played by Andres Valdes) that subtly permeates the album to lift your mind and momentarily take it back across the Atlantic to Spain before the congas and bass, like a deep sea current, take you back via Africa to the Caribbean. 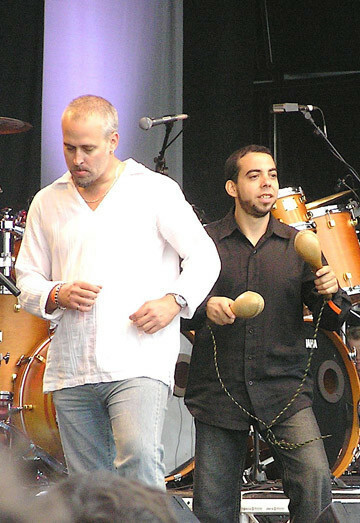 David Echevarría handles the small percussion alongside vocals. I bought the album immediately after their exuberant show at Womad and was not disappointed. "Asere themselves are a class act." The title track is the obvious dance track, a full-on, exciting, driving salsa; however others weighing in at around the 10 minute mark deserve more contemplation to reveal the deeper layers. But they are worth it. From the irresistibly smoky groove of “Destinos” and the dreamy jazz and jazz-fusion of “Panamá” and “Hoja, Otoño y Flor” to the viscerally yoruba-phonky guaguancó “Decir Asere” (maferefum asere, indeed!). For the other tracks, “Llanera” is a beautiful, elegant waltz and “Cuando Existe Amor” (an adaptation of Marvin Gaye’s “Right On”) is a sort of montuno funk; and if you like the work of Paco de Lucia then you’ll also love “Gypsy Soul” with its dry, intoxicating, shimmering Andalucian heat. The album was produced by John Hollis, recorded at Real World Studios in May 2007, mixed in Germany and mastered in London, so you know it’s going to be a quality piece. I’m not sure where the album’s claim to be “Music Made In Wales” (seriously!) comes from or the Theatr Mwldan’s input; but who cares when the music’s this good!